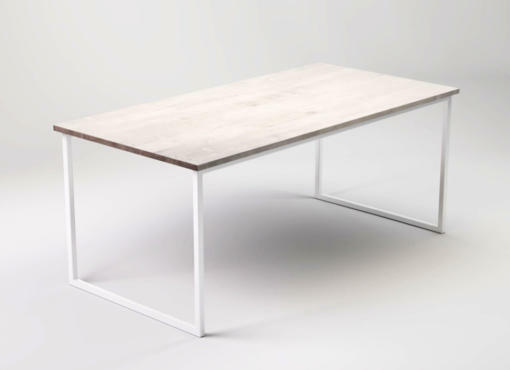 LIGHT KVADRAT small dining table has a square shape and simple, contemporary design. The table is handmade, by our experienced craftsmen. 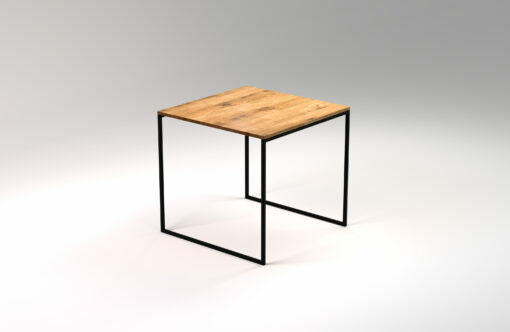 The square tabletop is made of specially selected oak wood and is based on a black steel frame. 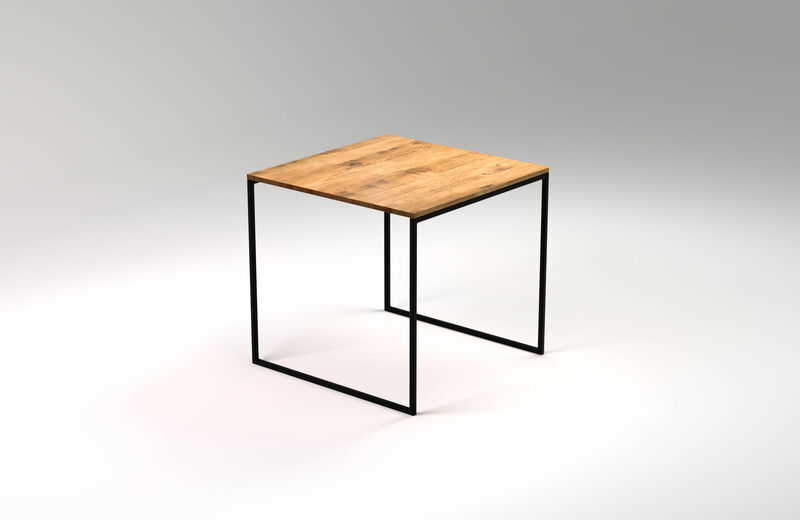 The use of simple lines and traditional materials gives the furniture minimalist character in a modern, industrial style. The table fits both industrial interiors, trendy lofts, as well as minimalist trends or more traditional contemporary homes. 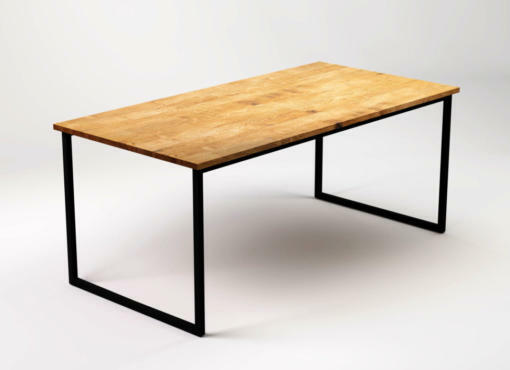 The KVADRAT BLACK square dining table is optimally suited for 2 people, but there is enough space for 4 people if needed. 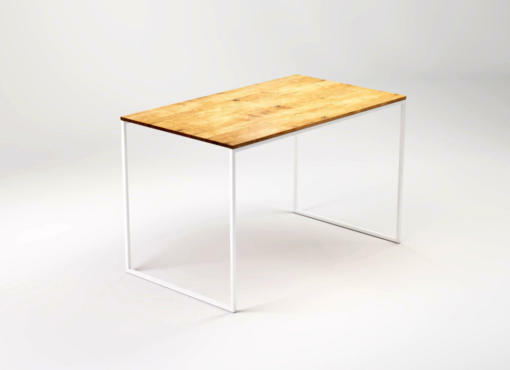 The small size of the table allows to use it in small interiors. Good use of space is extremely important when every meter counts. 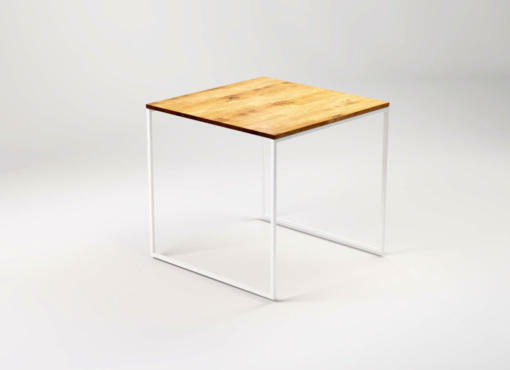 Square table is a great solution for a small kitchen or a kitchenette in a studio. Also in larger areas of cafes or restaurants, KVADRAT BLACK can be used. It can be easily moved and grouped together to create larger and smaller layouts depending on current needs. The light, geometric form of the table makes it look amazing in larger quantities, creating a pleasant, trendy café space.